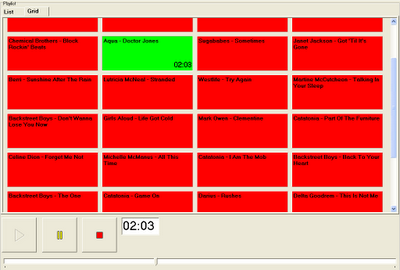 The Grid view of the Playlist displays the first 200 items in the Playlist as a series of buttons in a grid. The Grid has many advantages over the List view, including the option to play up to 4 tracks at the same time and to give a visual warning when there is 20 seconds or less remaining. You can play up to 4 tracks at the same time. 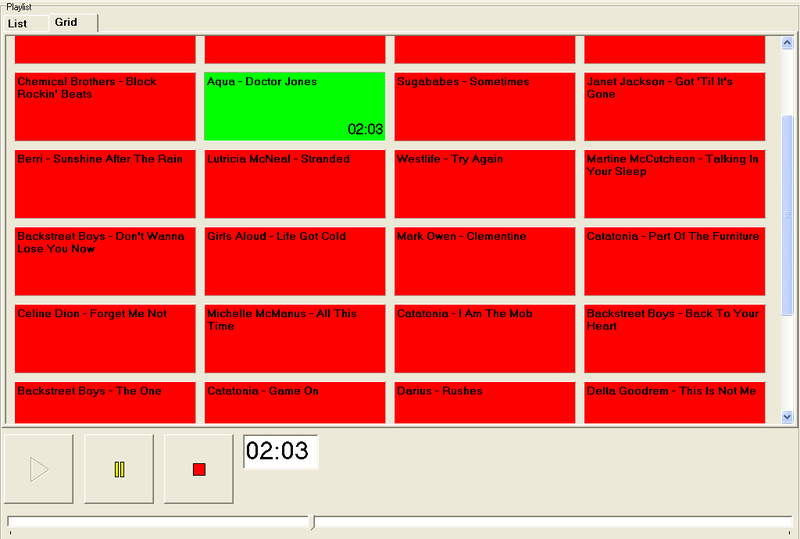 To play a track within the grid, click the button. Right click once to pause (left click resumes playing) and right click again to stop the track completely. Move an item up and down by dragging it over another grid button where you wish it to appear. Hold the SHIFT key while dragging a track from the library and place over a button to add before that item. 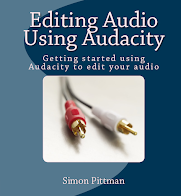 Remove a track by dragging it back to the Library. In the Grid view, the buttons, time display and tracking bar only apply to the currently selected track (i.e. the first track you play in the Grid) therefore you may find it easier to ignore these buttons while using the Grid. When a track is playing, the time remaining appears at the bottom right-hand side of the grid button. Put your mouse pointer over a grid button to see the track length when a track is not playing, and while playing the End Time (the time the track will finish). Red when the track is not playing. Yellow when paused (left click the grid button to resume playing). Dark Green when the track has 20 seconds or less remaining.